To sell first or buy first? There are always going to be pros and cons when you’re deciding to sell first or buy first. Whether that’d be selling first and then not being able to find your next dream home or buy first and then have your home on the market for a lot longer than expected? Your financial situation, current market conditions and the type of property you are selling or buying are all factors that need to be addressed before deciding. At the end of the day, everybody’s situation is going to be different so there’s no right answer for everybody. Here are a few suggestions, advantages and risks on both selling first or buying first. As the market was booming last year, it was very easy for vendors to sell their properties quickly and secure an amazing result. As the market was running so hot, they found themselves struggling to purchase their next home. Now that the market has become more stable, the option of selling first is going to be more preferred. By selling first, it gives you the time and patience to hold out for the exact price you are looking for. Selling your home first helps you use the profit for your next purchase, which can really come in handy. It will also give you the advantage to offer attractive terms and conditions for your next purchase. Especially in a falling market, if you sell first and rent for six to twelve months you may end up with more in your pocket as the change over figure for you when you buy will be less. Of course, there are still some risks when selling first that you may need to consider. Settlement times usually don’t align, which has vendors having to find somewhere to rent or stay at in between. By selling first, it also puts you under more pressure to buy which in the end means you may not buy the house of your dreams or pay more than you have to. Buying before you sell leaves you feeling less pressured. You can take more time in finding a home that is perfect for you. It also means you greatly reduce the chances of you having to rent or trying to find somewhere in between settlements. 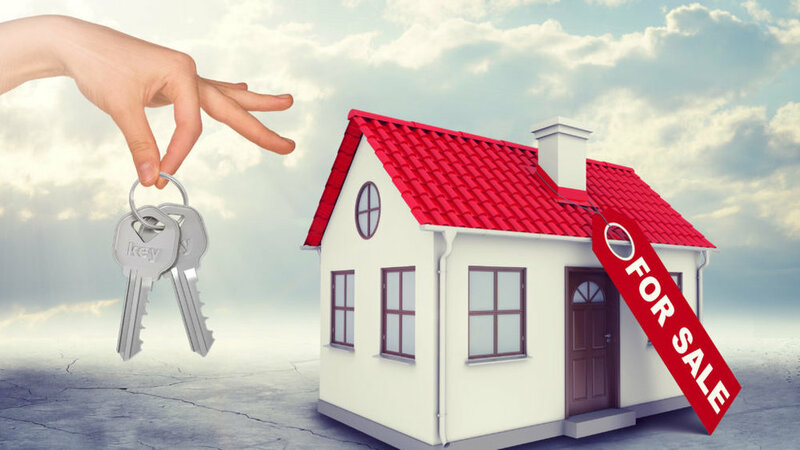 However, buying before you sell means you may not have the cash, which is locked in your current home, to pay for your next home deposit. Further, doing so could leave you with two loans at the same time if your current home takes months to sell. So you’re probably thinking, what’s the right choice for me? There is no definite answer. It just comes down to your personal preference and your financial situation. If you believe your home will sell and you can manage the overlap, then buying first is the way to go. But if you believe that you can find the home of your dreams after selling your property, then selling first is the way to go. As well as taking your own advice, having a real estate expert help you along the way and give you advice, is always valuable. Aurora Estate Agents are a new breed of real estate professionals which are highly focused on their core values: integrity, accountability, transparency, client focussed and process driven. Aurora Estate Agents’ dynamic team is a collaboration of effective marketers, residential sales agents and residential leasing consultants. South East Melbourne, which includes Berwick, Narre Warren, Beaconsfield, Clyde North, and Cranbourne is the country’s property boom hotspot. Aurora Estate Agents is perfectly positioned with a broad spectrum of property expertise to provide the best advice and skills for homeowners, investors and developers to ensure they continue to maximise growth and take advantage of existing market conditions.